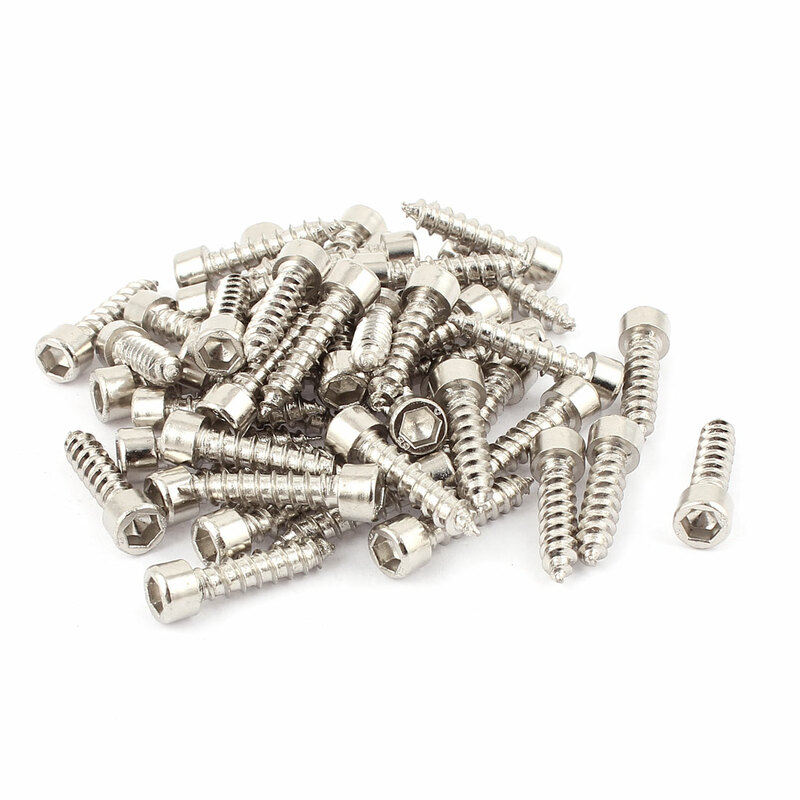 Nickel Plated hex socket cap head sound model wood self tapping screws?fasteners. Applications:?Electronic equipment, Machinery, Buildings, fittings, Sports equipment, Auto, etc. Pitch: 2.5mm; Head Diameter: 9mm/0.35"
Head Height: 6mm/0.24"; Hex Width: 5mm/0.2"